BANGOR, ME– If you were a fan of Disney Movies growing up, or enjoyed showing your kids the magical movies, Disenchanted just might be for you! This musical, which is coming to the Gracie Theatre on Husson University’s campus on April 22, is sure to entertain adult Disney fans. From the 7 dwarfs, to glass slippers, to prince charming’s, Disenchanted isn’t like your typical fairy tale. Snow White and her gang of disenchanted princesses, don’t wear the tiaras or act like the classic disney characters. There will be two show times, the first at 5 P.M. and the second at 8 P.M. This musical has been constantly sold out all over the country. Bringing a hysterical, adult-humor feel to the disney stars, this musical is a must see. But remember, it isn’t for the kiddos. Along with Snow White, there is also Cinderella, Sleeping Beauty, Rapunzel, Ariel, Belle, Hua Mulan, Pocahontas, and The Princess who Kissed the Frog. 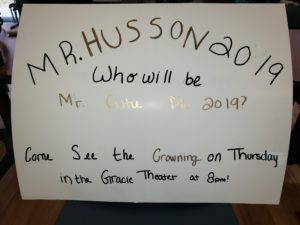 Bailey Graychase, a junior at Husson says he plans on attending the show. nited States, it is going International as well. It has had a production in Santo Domingo and the Dominican Republic. If you would like to purchase tickets you may go to graciethatre.com or head on over to the Gracie Theatre and visit their box office. 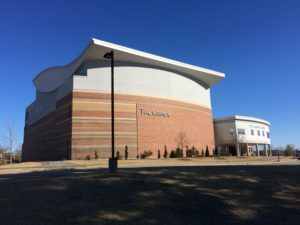 On the website, there is also a list of all the upcoming shows and events that are being held at the Gracie Theatre. So, check it out!